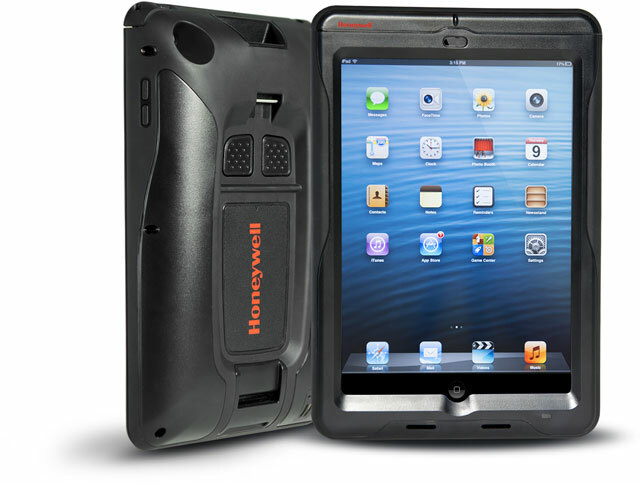 The Honeywell Captuvo SL62 Sled has been discontinued. No direct replacement is available. 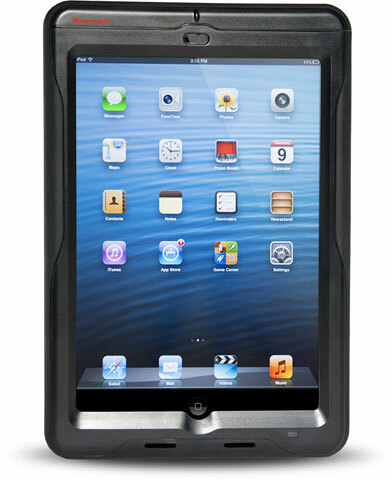 The Captuvo SL62 enterprise sled transforms an Apple iPad into an engagement tool specifically engineered for retail, hospitality, and field service workers. It is an easy tool to enable users to look up inventory to gain product information, scan barcodes and process secure payments. 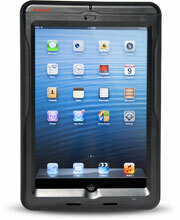 The device uses an optional encryption-ready magnetic stripe reader (MSR) that protects sensitive data. The SL62 also provides an extra layer of protection thanks to its protecting design that can avoid breakage even after a 4-foot drop of the device. Sled for Apple iPad Mini, Standard Range Imager with Green LED Aimer, Standard Battery, Magstripe Reader, Wall Charger with US and EU Plug Adapters, USB Cable, and Documentation. Color: Black. Sled for Apple iPad Mini, Standard Range Imager with Green LED Aimer, Standard Battery, Wall Charger with US and EU Plug Adapters, USB Cable, and Documentation. Color: Black. Captuvo Hand-Strap for use with SL62 for iPad Mini. ChargeBase for Captuvo SL62 for iPad mini. Non-Cancelable/Non-Returnable. CONFIG SETTINGS FOR THECAPTUVO WITH SHIFT 4 key.